Virtual Dedicated Server vs. Enterprise Cloud Comparison. Sites on the upgrade path to a Dedicated Server or Enterprise Cloud solution. Best For Enterprise who seek rapid deployment, High Availability (HA), and effortless scalability. Upgrade or downgrade to predefined packages. Hardware specs can be customized 100% tweakable to your exact specs. Both Virtual Dedicated Servers (VDS) and Enterprise Cloud Servers should not be confused with a traditional VPS or shared hosting. They are not the same thing! With our VDS you have a 100% contained environment, completely customized to the needs of your web sites, not “what is good for most,” which is how shared hosting works. Virtual Dedicated Servers from GlowHost differ from our Enterprise Cloud Hosting products in their simplicity. Simply pick a pre-configured system from one of several recommended configurations, order it, and within minutes you’ll have full root access to your new virtual machine sporting cPanel, WHM, Softaculous and other management panels. With a VDS, when cloud activity is high, your system will benefit because it has guaranteed minimum resource levels which other virtual machines cannot interfere with. With traditional VPS, often times they do not do a great job of fully isolating themselves from other VPS, and slowdowns often occur due to other VPS over-consumption of the single physical server’s resources. Also with a GlowHost VDS, when cloud activity is low, you get to use the extra resources that become available to the cloud. The technical term for this is called “bursting,” and this means most of the time, you will enjoy even better performance than the minimum we guarantee you. Our cloud hosting system is fully redundant at every level. Our cloud servers can sustain multiple hard drive failures, multiple server failures, network failures and electrical failures including industrial generators and battery backups to power the cloud until electrical service is restored. Get started now and order your Virtual Dedicated Server. Our latest advancement in virtualization technology allows you to have a fully redundant, High Availability (also known as “HA”), clustered cloud server solution guaranteed for five-nines uptime (99.999%) uptime or greater. The GlowHost Enterprise Cloud hosting system is completely elastic, allowing you to add more resources such as CPU, RAM, disk space or network speed dynamically, and on the fly. No more reboots or downtime due to the need for hardware upgrades, possible DOA hardware components, or equipment failure. Unlike Cloud VDS, your resource levels are not limited by predefined packages, and you can customize things any way you see fit. We’ve built the complex hardware and networking configuration for you. All traditional hardware resources like CPU, RAM and disk space can be added in real-time. Now you can build yourself an ultra powerful single virtual server that scales with you, without the headaches involved in setting up your own hardware cluster. If you want to take things to the next level by introducing database, application, and/or storage server clusters, we’ve also simplified the process for you. Our technology allows you to make clones of your Enterprise Cloud Server down to the operating system, all settings, servers, scripts, databases, modules, extensions and etc. Now you can fire up a new, completely customized to your specification, pre-configured, Enterprise Cloud Server and deploy it instantly on demand. Gone are the days of spending hours or days configuring and replicating data, settings, and applications each time the need for a new machine arose. Additionally, Load balancing is built right in and you can enable or disable this functionality as needed. High tech, low price. Now you too can afford enterprise grade hosting and compete with the big boys for a fraction of what you might expect. Get started with an Enterprise Cloud today for as little $199 per month with no activation fees, no usage fees and no idle fees! Want to try a less powerful cloud to see how it works? Take a look at our pre-configured Cloud Virtual Dedicated Servers starting at just $75 per month including cPanel, management, monitoring and lots of other goodies built-in like Kernel Care (rebootless kernel updates) and Softaculous web app installer. Get started now and order your Enterprise Cloud Server. 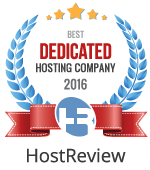 Do you prefer a dedicated server option instead? Take a look at our Semi-dedicated servers and Managed Dedicated Servers. Both solutions offer higher performance than traditional shared hosting and are offered at attractive prices geared to suit businesses on a variety of budgets. Need more information or have a custom configuration in mind?